Whole-house audio systems improve your quality of life and home value. They let you distribute music throughout your home from shared audio sources. Multiroom audio receivers play music from up to six audio sources in six different rooms of your home. 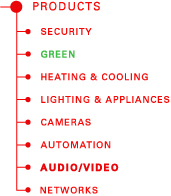 Multiple receivers can be linked together for additional rooms. 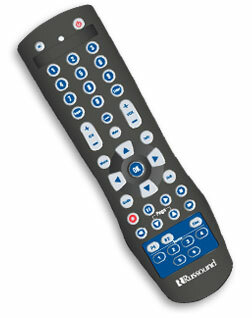 Each room has its own touchscreen or remote for individual source, volume and sound settings. We sell and install digital media servers and flat screen TVs from leading manufacturers. Shared receiver/server and sources means each room isn't cluttered with its own a/v equipment. Convenience and reduced cost of shared receiver/server and source equipment. 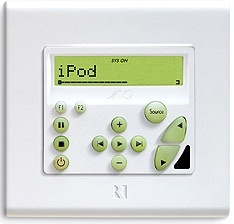 Control any zone/room from any in-house touchscreen or remote, and even remotely via the internet. Contact us for a free estimate to add entertainment to your home.